Researchers at Harvard Medical School have found that a diet high in red meat can shorten life expectancy. 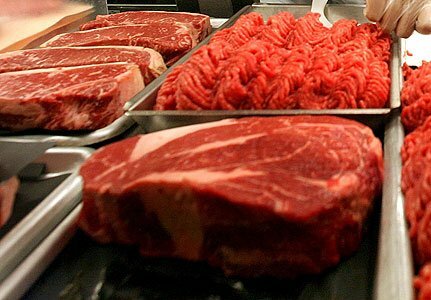 The study of more than 120,000 people suggested red meat increased the risk of death from cancer and heart problems. Substituting red meat with fish, chicken or nuts lowered the risks, the authors said. According to The British Heart Foundation, red meat could still be eaten as part of a balanced diet. The researchers analyzed data from 37,698 men between 1986 and 2008 and 83,644 women between 1980 and 2008. The researchers said adding an extra portion of unprocessed red meat to someone’s daily diet would increase the risk of death by 13%, of fatal cardiovascular disease by 18% and of cancer mortality by 10%. The figures for processed meat were higher, 20% for overall mortality, 21% for death from heart problems and 16% for cancer mortality. The study said: “We found that a higher intake of red meat was associated with a significantly elevated risk of total, cardiovascular disease, and cancer mortality. The researchers suggested that saturated fat from red meat may be behind the increased heart risk and the sodium used in processed meats may “increase cardiovascular disease risk through its effect on blood pressure”. Victoria Taylor, a dietitian at the British Heart Foundation, said: “Red meat can still be eaten as part of a balanced diet, but go for the leaner cuts and use healthier cooking methods such as grilling.